I've had these brushes for a good time now, and I have to say I've definitely fallen in love with Real Technique brushes. The core ones were the first ones I got (the first ever brushes I bought myself actually) and I have to say they haven't brought about any disappointment. The brushes are soft to use upon the face which I love and are a good size to work with. An added bonus to them is the fact that each brush tells you what they are designed to be used for, which is so helpful when I had no idea what I was actually doing with my make-up, though I do tend to not actually use some of them for what they're designed to be used for. 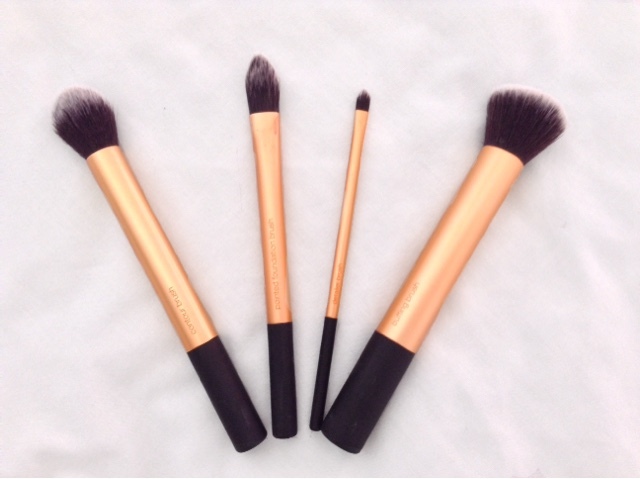 The core collection consists of a buffing brush, a contour brush, a pointed foundation brush and a detailer brush. Out of all of them I have to say I do use the buffing brush the most as I use it for my foundation as I find it helps to give me the coverage I want and blends the foundation well with my skin. Over all these are amazing brushes and I would recommend them for anyone. 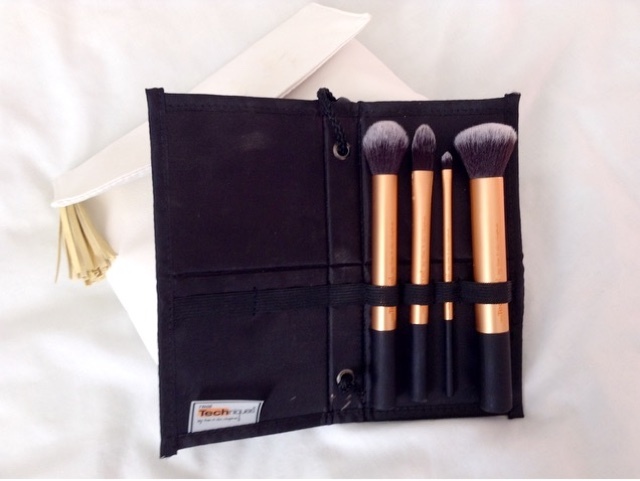 They were a great start to my make-up brush collection and I love them as well as the eye-shadow brushes that I also have from Real Technique.